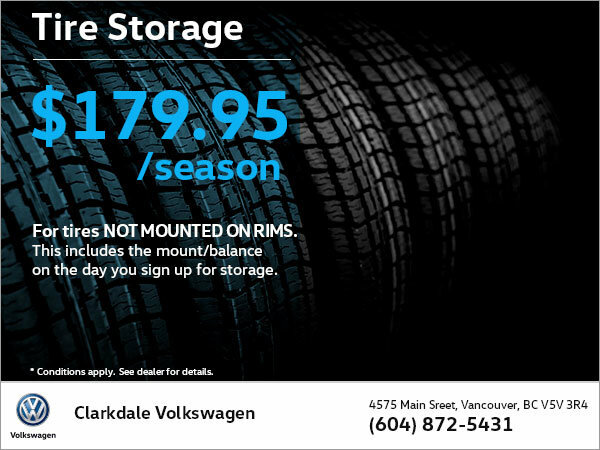 Take advantage of Clarkdale Volkswagen's tire storage! For only $179.95 per season, we'll store your tires with the optimal conditions to increase their lifespan and behaviour. This includes the mount/balance on the day you sign up for storage!